Okay, so you know the real “Shoeless” Joe Jackson batted lefty and threw righty, but that Ray Liotta bats right-handed and throws with his left in Field of Dreams. And that he was semi-illiterate, rather than the raconteur Liotta played him as. Okay, so you know that the real Archie “Moonlight” Graham died in 1965—making it impossible for Ray Kinsella (Kevin Costner) to time warp to 1972, when he encounters Doc Graham a block after a movie theater showing The Godfather. 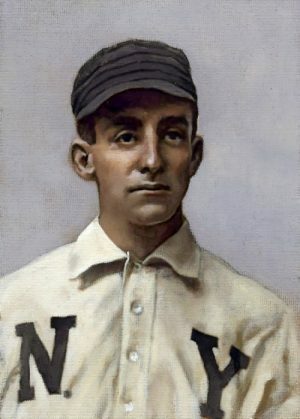 You even know that when Graham got into his one and only game for the New York Giants, it wasn’t the last game of the season, as Burt Lancaster says, but rather a game played on June 29, 1905. Literary license, you say? You don’t know the half of it. Set to celebrate its 30th anniversary next year, Field of Dreams is widely viewed as a timeless classic. Filled with memorable dialogue—“Is this heaven? No, it’s Iowa,” or “Hey Dad, you wanna have a catch?” are just two of the most-oft quoted lines—the film is based on the 1982 W.P. Kinsella book Shoeless Joe, and was nominated for three Academy Awards, including Best Picture and Best Adapted Screenplay by director-writer Phil Alden Robinson. In “Script to Screen,” a University of California television program that he appeared years later, Robinson says the only tweaking he did was to have the character of Terrence Mann (James Earl Jones) enter the cornfield before the big reveal, namely, the discovery with five minutes left in the picture that the ghost team’s catcher is Kevin Costner’s father. In the book, John Kinsella (Dwier Brown) appears two-thirds of the way into the story. · The real-life J.D. Salinger—author of Catcher in the Rye—is the person whose pain Ray feels he has to ease, not the civil rights activist and writer that Jones played. Salinger was chosen by W.P. Kinsella because he introduced Richard Kinsella as a minor character who befriended Catcher in the Rye’s Holden Caulfield; he also used the name Ray Kinsella in his short story, A Young Girl in 1941 With No Waist at All. But because Salinger didn’t like the way Shoeless Joe depicted him, Robinson invented Terence Mann. · In the book, Ray has a twin brother named Richard who took a swing at their dad before leaving home, thus driving a wedge between them. The co-owner of a traveling circus, it’s Richard Kinsella who has the poor relationship with his father, not Ray. In fact, when he first meets “Shoeless Joe,” Ray asks if there’s a spot on the ghost team for his late father—a catcher who never rose beyond Single A ball in California and Florida. · In the book, when Ray meets the older version of Archie “Moonlight” Graham in Chisolm, Minnesota, it is 1955. That is because the pair discuss the previous year’s World Series between the New York Giants and the Cleveland Indians; when Ray and Salinger afterwards pick up the hitchhiking younger version of “Doc” Graham, they take him to a Minnesota Twins game en route to Iowa. · In the book, Mark (Timothy Busfield) and his business partner need Ray and Annie’s tract of land because they’re having financial difficulties themselves. They want the 10,240 acres of prime corn growing land for their computer farming syndicate. The book also offers up a subplot involving a character named Eddie Scissons who claims he’s the oldest living Chicago Cub. Blackmailed by Mark to get the deed to the Kinsella farm, the evil brother-in-law exposes Eddie as a liar and as a charlatan. Original source material is changed all the time. In Peter Benchley’s Jaws, Mayor Vaughn wants to keep the beaches open because he’s under pressure from his real estate partners—the Mafia. The characters of Hooper (Richard Dreyfuss) and Ellen Brody (Lorraine Gary) also have an affair, and Hooper dies in the book. As Brian E. Frankish, the line producer and unit production manager who coordinated the logistics of the movie’s famous closing shot, in which more than 1,000 cars formed a caravan on their way to the Dyersville, Iowa farm where much of the film’s action takes place, told me recently about the 2017 accolade….